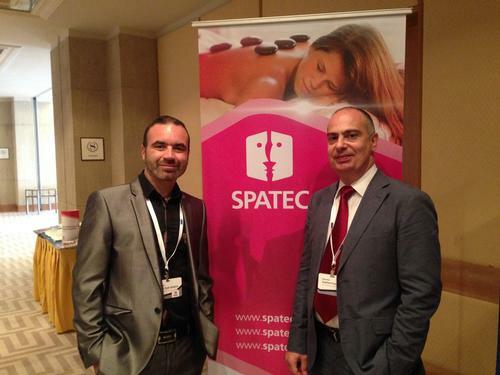 Spa industry conference SPATEC Europe was held earlier this month in Rhodes, and was attended by more than 150 spa businesses. You can read more about the conference here. A seminar led by Berni Hawkins has highlighted what we already knew; that spa businesses that engage with their employees are more successful. As the article explains, focussing on recruiting the staff with the right attitude and providing company-specific training is a more fruitful use of time than weeding out and getting rid of ineffective individuals, which takes time and can make companies fall foul of local employment regulations. Finding staff with a can-do attitude and who have a welcoming character and then training and motivating them is always a good idea. Helicoptering in staff with the right skills to plug a hole with little regard to their attitude, and how they will fit in with company culture can be a recipe for disaster. Recruitment should not just be about filling gaps, it should be about investing in your business’ future. But to combat transience, it all starts before that. But how to engage your staff in the right manner? To effectively engage your staff, you need to get the culture right. That means creating an environment in which people feel committed and dedicated to shared goals and you can’t do that without the right people to start with. It’s a bit chicken and egg!! The most successful companies tend to incentivize and engage their staff through carrots rather than scare them with sticks. We’re working with a number of very recognizable brands to help create a culture in which people can buy into concepts and other people by mobilizing great leadership. It cultivates an ethos of following people that staff trust and believe in rather than doing what they’re instructed to do by someone in charge. Great businesses have proven that better results can be extracted from teams who want to perform well. As a result of an engaged team, staff retention improves, the business is more confident in investing in their teams and it creates and upward rather than a downward spiral. The biggest obstacle that this sector faces however, is getting the employers to change their cultures. And it’s not just about enabling the changes. Quite often it’s about the level of self-awareness a business has. Do they know what their culture is and how it is viewed? And if they do, are they motivated to change? If you own a business that needs a cultural shift or help finding great leaders, get in touch. The Women’s Sports and Fitness Foundation has reported an increase in the percentage of women occupying roles on England’s sports governing bodies. This is now 27%, compared to 23% the year before. Despite this increase, the number of women are still under-represented, reported Sports Management this month. For the full story, please read here. This under-representation of women has spurred calls to set a target of 30% for every board in England – currently only 23 out of 45 boards are meeting the existing target of 25%. What’s our opinion at 4Leisure Recruitment? We certainly get asked by our clients why we don’t get more female applicants for certain types of roles. In particular at general management level where there is still a considerable imbalance in the male to female ratio. There are also some differences between company cultures that have an effect on the success of women at a senior level and, unfortunately we still come across plenty of businesses with an “old boys” culture that makes it extremely difficult for women to prosper unless they are of a particularly aggressive nature! We are pleased to report that the vast majority of our clients are proactively searching for female talent to help balance their teams and cultures. However, we do have to consider whether these roles suit themselves to family women. The unsociable hours are one barrier that is often quoted by potential female candidates keen to balance home life and a career. The demands of operational roles in our industry often don’t allow flexibility in working hours making them less appealing than those in other sectors. It’s not just about discrimination. If the business world wants to continue to progress and benefit from talented businesswomen, then companies may ironically have to stop trying to compare everything as equal and actually look for ways to make the work more accessible for women. In some cases, surely the inconvenience of change is outweighed by the results that can be achieved? What do you think? Do you think the sports and leisure industry is off-putting to female professionals? What’s your own experience? Do you have what it takes to be a CrossFit trainer? CrossFit is a brand name for a training method which is high intensity, edgy, and produces results fast. It is a specialist training technique which is sometimes offered in regular health clubs, but more often than not in dedicated CrossFit facilities. CrossFit’s brand is underground and niche, with a small, personal community of hard-core fitness fanatics. Delivering training using CrossFit requires an in-depth understanding of the high-intensity methods and the safety involved, as well as unusual equipment, such as tractor tyres. In Health Club Management Magazine there is a debate as to whether CrossFit will ever become a mainstream training method, or indeed, whether it can. Will making CrossFit appeal to the mass-market reduce its appeal to its relatively small but growing number of devotees? You can read the full article here. We believe that Crossfit is here to stay in its own raw and tough form. Its popularity is rising as more people are realising the benefits of a programme designed for fast results. What we love about health and fitness is the variety of exercise programmes available. There is something to suit everyone, whether they’re exercising to improve their strength, to lose weight, or just to get their heart rate up a couple of times a week. We wouldn’t want to see the end of something good just because someone thinks that it should be done by more people. Not everyone wants to do Zumba! CrossFit trainers are some of the most dedicated and relentless trainers in the business, and they have to be. The clients want results and fast, and the PTs need to know how to make that happen. CrossFit trainers have attitude and can push themselves, and their clients, to extremes. Have you got what it takes? We are currently recruiting CrossFit trainers for a fitness company in the Middle-East. If you’ve got what it takes, and you fancy working somewhere a bit (a lot) sunnier, with accommodation, and a tax-free salary, then please get in touch. Back in March, it was revealed that struggling fitness company LA Fitness was to sell off some of its gyms in a major restructuring of its business. You can read more here. Now it would appear that Mike Ashley, founder and owner of retailer Sports Direct has made moves to secure the leases on on approx 30 LA Fitness gyms. This would add fitness facilities to his portfolio comprising the sports retailing giant, and ownership of well-known sports brands Dunlop and Slazenger. The deal is yet to be done but sounds like he is serious about its acquisition. It has not yet been revealed how much Mr Ashley is to pay for the 30 gyms, and Sports Direct have refused to comment. You can read the full story from Sky News here. If you’re looking for lifeguard jobs then you’ve come to the right place! Here’s the run-down of lifeguard jobs we have right now (as of May 2014). If you can’t find what you’re looking for and you are NPLQ or NBLQ qualified, please get in touch and we can keep you on file for any future opportunities. Oakham, Rutland – Beach lifeguards required for the summer – part-time or full-time available. Qualified lifeguard? We need you! 4Leisure Recruitment is on the hunt for lifeguards for a brand new beach swimming facility at an established country park in Rutland. Set in 4200 acres of open countryside, Rutland Water Park is the central rural attraction in England’s smallest county of Rutland and offers activities for all the family. For the first time, they are now offering swimming as part of the visitor experience this summer. 4Leisure have been selected as the recruitment partner to provide staff for this exciting new project. We are looking for qualified Lifeguards and Team Leaders (NPLQ or NBLQ) who will ensure that all visitors have an enjoyable and safe experience using the beach. Team Leaders will be required to supervise Lifeguards, ensure rotations are made and be the first point of contact for visitors and Lifeguards with queries or issues. We are looking for reliable and punctual people who work well as part of a team. You will be required to attend two hours of training each month to keep your qualification up to date. This is a seasonal position starting in June and you will be required to work until early September.